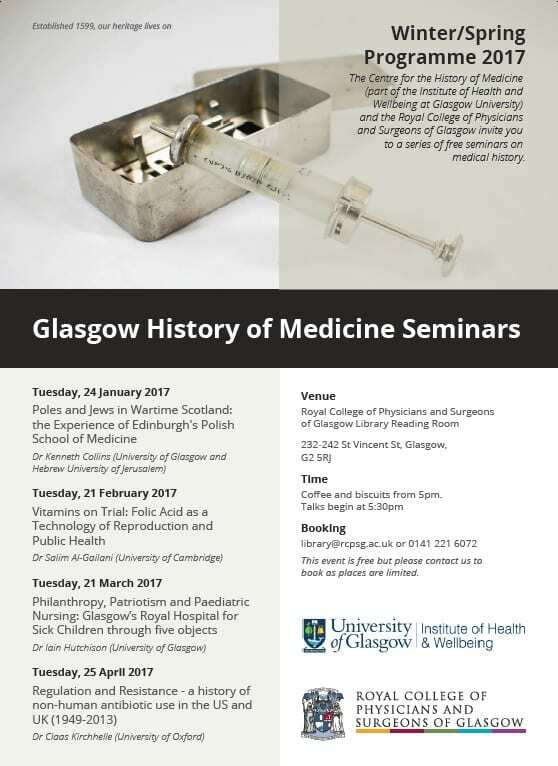 We have an exciting programme lined up for our winter/spring 2017 Glasgow History of Medicine Seminars in partnership with the Centre for the History of Medicine (part of the Institute of Health and Wellbeing at Glasgow University) – we hope you can join us! A talk examining the relationships and tensions between poles and Jews at the Polish School of Medicine, based on archival records and testimonies. This talk examines the history of folic acid, its implications beyond reproduction, and the role of consumer activism in shaping public health policy. Taking five objects as focal points, Dr Hutchison will discuss the roles played by charity, emotion, patriotism and conflict, and by often under-valued nursing care during the hospital’s pre-NHS era. 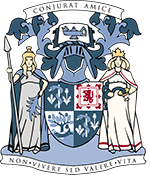 This presentation will examine the long history of antibiotic use in Western food production, the development of agricultural antibiotic use, and examine why regulations designed to curb bacterial resistance developed differently in the US and Europe.